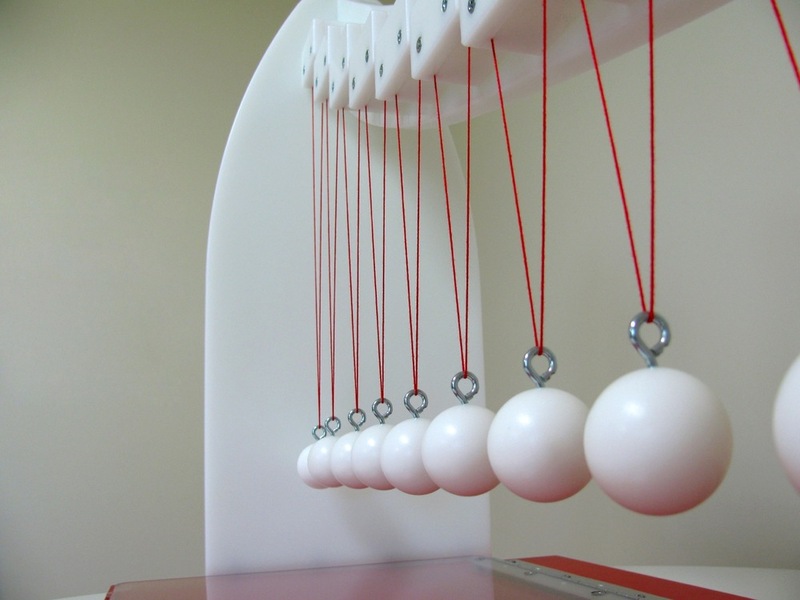 Science Kinetics is committed to the design and fabrication of quality interactive exhibits that are educational and appealing to a diverse range of visitors in science centers, children's museums and other public spaces. Magnetic gear tables are fun for engineers of all ages. Mix your very own beautiful rainbow of colors. Direct your laser beam through a cloudy maze of lenses and mirrors. Create your own art on a wall of brightly lit pegs. Move the pulleys and arrange the belts to make your own pulley system. The beach ball is magically suspended by a column of air. Gather the crew and race to the fire! 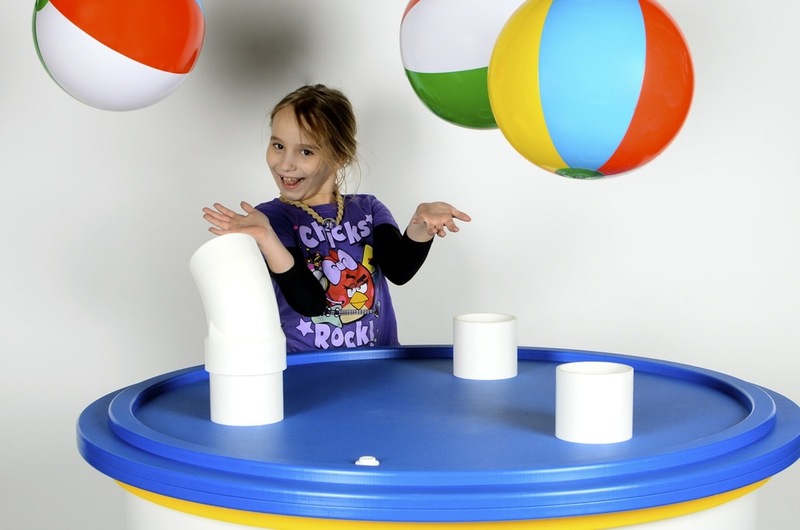 Experience the Coriolis effect, inertia and other mesmerizing mechanical motions. Create a impression of yourself in a wall of colorful pins. Adjust the sine wave frequency and amplitude to create your own visible standing waves. An array of pendulums with precisely-tuned periods creates an ever-changing cycle of waves. Conduct your own laser beam orchestra. After months of planning and deliberation, we have begun prototyping for our upcoming traveling exhibit Electromagnetism: One Big Theory, One Little Particle. Needless to say we are really excited about this project. I figured I should take some time to introduce the exhibit and give some insights into the philosophy behind its design.